UB: Around 2pm, Yankee returned to the box. 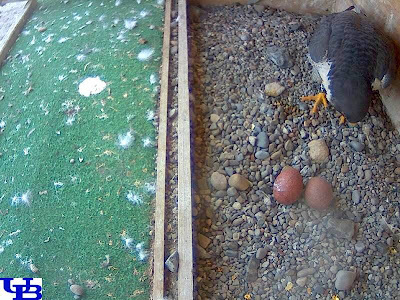 It's unclear if he or BB resumed incubating. More positive news tomorrow I hope. and seen perched near nest site later in the afternoon.